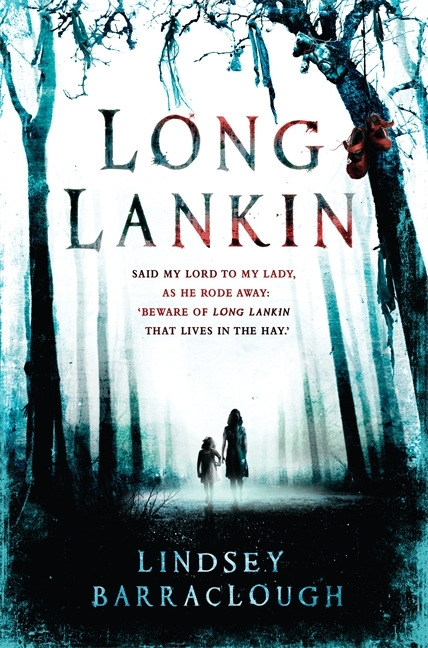 Beware of Long Lankin, that lives in the moss. . . . When Cora and her younger sister, Mimi, are sent to stay with their elderly aunt in the isolated village of Byers Guerdon, they receive a less than warm welcome. Auntie Ida is eccentric and rigid, and the girls are desperate to go back to London. But what they don't know is that their aunt's life was devastated the last time two young sisters were at Guerdon Hall, and she is determined to protect her nieces from an evil that has lain hidden for years. Along with Roger and Peter, two village boys, Cora must uncover the horrifying truth that has held Bryers Guerdon in its dark grip for centuries-before it's too late for little Mimi. Long Lankin disturbed me in the same way that Mrs. Peregrine's Home for Peculiar Children did. It's about children, for goodness sake, and it's DARK. Ever so dark. Cora and Mimi have no clue what they're in for when they are sent to stay with Aunt Ida. She clearly doesn't want them there, and it has little to do with being old and set in her ways. There's a long history of disappearances and death in her family, all of children.The village boys Cora befriends have no clue, either. There's a long-standing warning to stay away from the parish church building, with no explanation. This of course, doesn't stop anyone from exploring, though the church is little-used and frightening.I really like these characters. Cora is brave and thinks quickly. The boys personalities complement hers very well. Mimi is nearly a side character, despite the action revolving quite a bit around her. And Aunt Ida, the classic tragic character. All of them share in the telling of the story, changing narrators as needed. Thankfully, it's well done and the story doesn't lag or have missing blocks because of it. **This title is schedule for publication on July 10, 2012. Look for it!